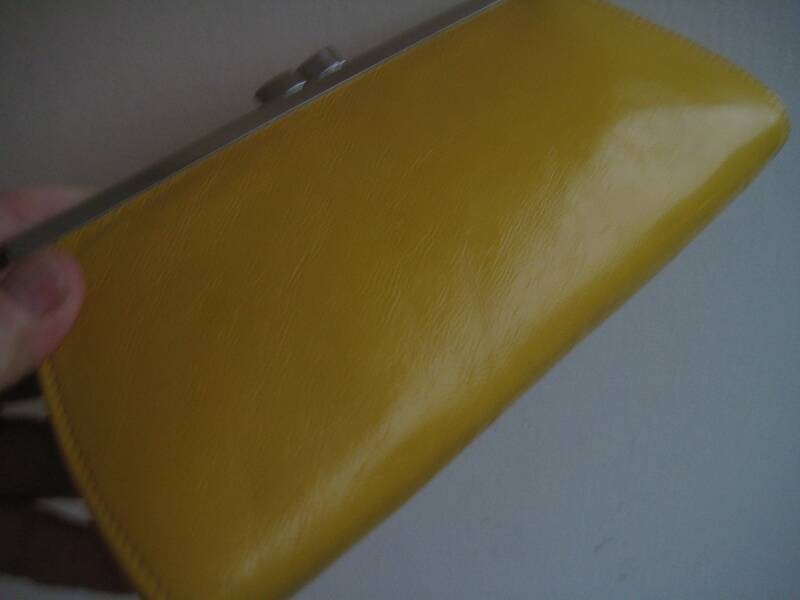 Dandelion leather wallet by Monsac with original tags. Perfect condition. 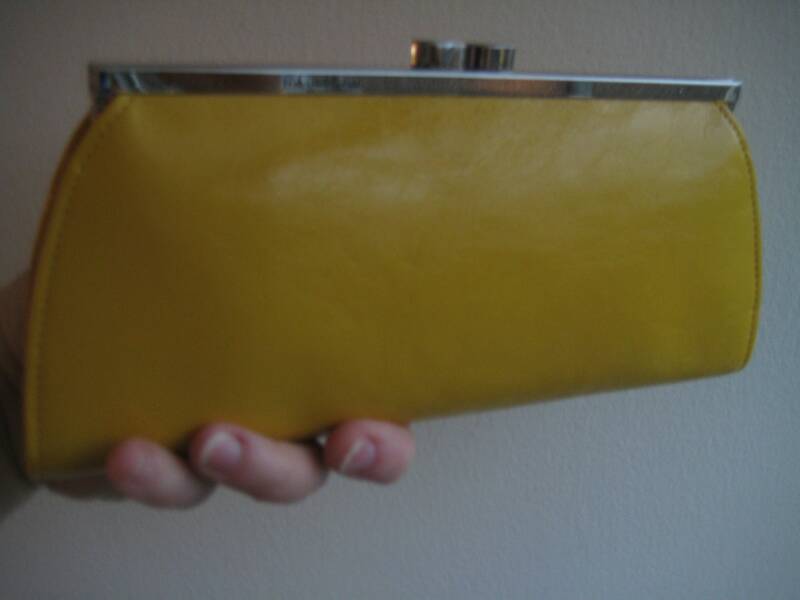 Dandelion yellow color leather body with silver tone metal frame and kiss closure. Tan polyester lining with Monsac embossing. 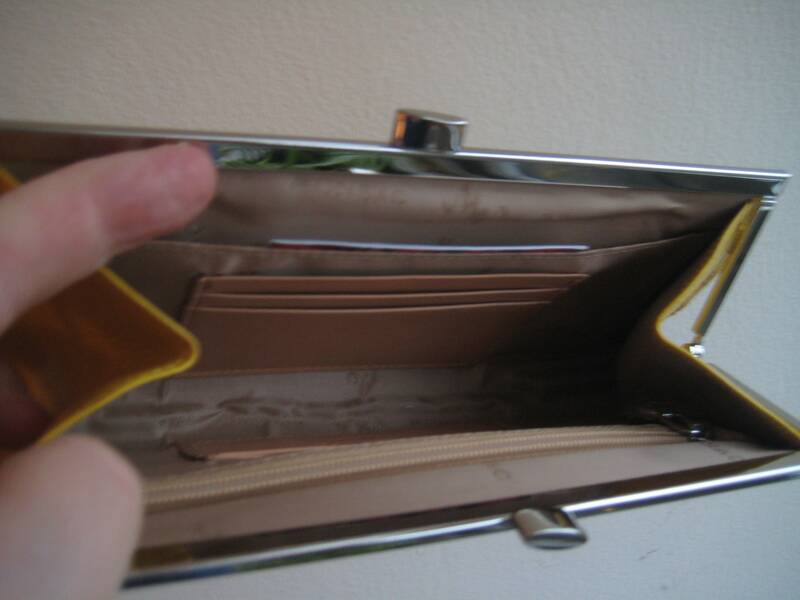 Credit card slots, plastic zipper pocket and one slip pocket. 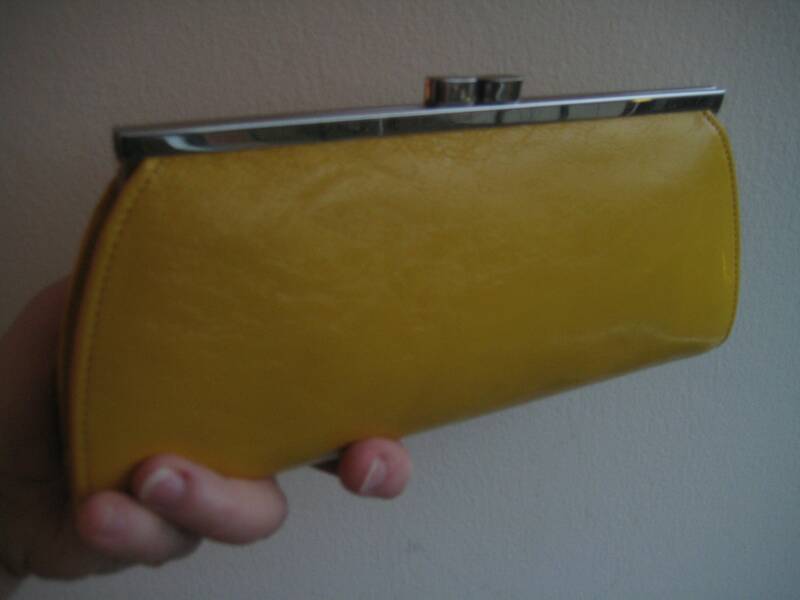 Lovely and could be used as a clutch. Dimensions: 9 inches long x 4 inches tall.